This Program Is Empowering Young Latinas With L.O.V.E. A silver necklace that reads “Love” lies flat across Claudia Espinosa’s chest. It's a constant reminder of what matters to her most -- the mentoring program she founded to empower young New York City girls called Latinas On The Verge of Excellence, or L.O.V.E. “Today is about choosing the major that you love,” Espinosa, 36, announces. She’s addressing the six mentors and seven mentees attending L.O.V.E. 's weekly session at The Young Women’s Leadership School of East Harlem. It’s a Friday afternoon near the end of the school year. But the high school students who had been rowdily anticipating the weekend just moments earlier become completely focused when Espinosa speaks. Everyone begins discussing the difference between a major and a concentration when a mentee abruptly asks what happens if she’s not sure what she wants to study in college. Claudia Espinosa speaks to the L.O.V.E. mentees and mentors at The Young Women’s Leadership School of East Harlem. Espinosa created L.O.V.E. three years ago to mentor young Latinas. Since then, she’s implemented the program in three New York City schools, working closely with the Young Women's Leadership Network in low-income, majority minority communities in Manhattan, Queens and Brooklyn. This fall, Espinosa expects to expand the program to a total of seven schools, including its first in the Bronx. “L.O.V.E. is like a machine, making sure that young girls can fulfill their potential -- and by potential, I mean their biggest dreams,” Espinosa told The Huffington Post. Though the program has grown in a short period of time, Espinosa’s journey really began 15 years ago, when she moved alone from Cali, Colombia, to the U.S. to follow her lifelong dream of becoming an FBI agent. She studied English for two years and became a personal trainer -- a job that still keeps her afloat financially and helped fund her bachelor's and master's degrees in forensic psychology from John Jay College of Criminal Justice. But by the time graduation came around, Espinosa realized the FBI was not for her. Espinosa (right) speaks with a mentee at The Young Women’s Leadership School of East Harlem. Hispanic girls in high school are more likely than their non-Hispanic peers to have attempted suicide. According to a 2012 report by the Centers For Disease Control And Prevention, 13.5 percent of young Hispanic female students said they attempted suicide, compared to 8.8 percent of black, non-Hispanic girls and 7.9 percent white, non-Hispanic girls. Espinosa went back to school, enrolling in a master's program in public administration at New York University, where she worked with faculty to develop the pilot program and curriculum for L.O.V.E. The program was originally designed to pair 10 to 25 students per high school with female college mentors from NYU, Columbia University and the City University of New York. Ideally, college mentors share interests with their mentees and communicate regularly to help guide them from ninth grade to graduation. During after-school L.O.V.E. meet-ups, they listen to guest speakers or discuss study tips, college applications, domestic violence and other topics. While the program was initially intended to target Latinas, L.O.V.E. is open to young girls of all backgrounds. In fact, most of the East Harlem mentees are black, including Lauren Drumgold. The 18-year-old will enter Bates College as a biology major this fall and was recently honored alongside two other seniors at a special L.O.V.E. graduation ceremony. Drumgold, who hopes to become a veterinarian, said she first started getting excited about attending college and studying abroad during a L.O.V.E. mentoring session. Lauren Drumgold, 18, at a L.O.V.E meet-up. The L.O.V.E. program can be equally eye-opening for the young women who volunteer their time. 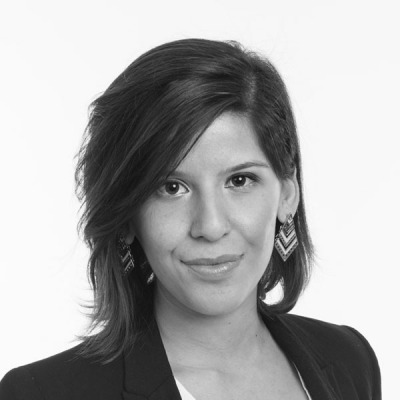 Amanda De La Torre, 26, is one of the program’s newest mentors and recently earned a master's in higher education and student affairs at NYU. A mentee reviews a handout on college majors and concentrations. Describing the struggles that young girls and Latinas specifically face, Espinosa says that many young women encounter cultural pressure that prevents them from reaching their goals. “I think that there are a lot of expectations for women, and by expectations I mean roles that you should fulfill,” Espinosa said. “You should, yes, finish school, but perhaps later on you should get married, and then you should have a couple of kids, and then you should take care of your family." Amanda de la Torre, 26, listens as her mentee Angela Opoku, 15, speaks to the group. Espinosa hopes to eventually open high schools that are entirely dedicated to supporting young girls and helping them achieve their dreams. Mentees and mentors talk during an after-school L.O.V.E. meet-up. 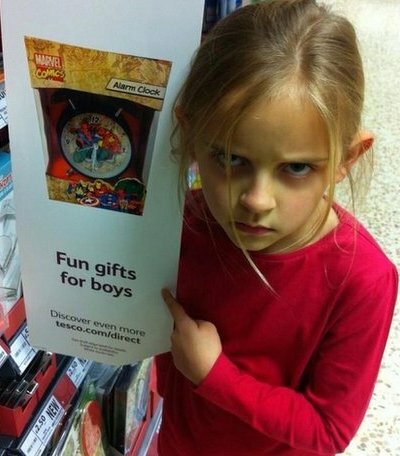 Late last year, Tesco removed a sign which singled out a superhero alarm clock as a "fun gift for boys" in response to a complaint about gender stereotyping. The author of that complaint? <a href="http://www.bbc.co.uk/news/uk-england-dorset-30191100" target="_blank">Seven-year-old Maggie Cole</a>, who proved you're never too young to make a change.